"One man lives in the neighborhood, another man owns it." “A Bronx Tale” suggests that there are two worlds constantly at play in the Bronx, in the 1960. Growing up is never easy. Growing up is even harder when stuck between those two worlds. Calogero (Lilo Broncatto Jr.) is a young boy when the movie begins. He witnesses a murder and begins his life in the shadows of the mobsters that run his neighborhood. Calogero, nicknamed ‘C’ by the mob boss, however, is not afraid of these men; in fact, he is mesmerized by their lifestyle and power. ‘C’, consequently, begins working for the mob boss, Sonny (Chazz Palminteri), who takes a liking to him. As ‘C’ grows closer to Sonny and the other mobsters his father intercedes. Lorenzo (Robert DeNiro), C’s father and an honest bus driver, does not want his son mixed up with the criminals who run the neighborhood. ‘C’ is quickly caught between respecting his father’s belief in honesty, integrity and hard work, and the mob’s focus on easy money and “protecting your own”. The movie takes viewers through the Calogero’s formative years into his teenage life as he rises in the mob’s rankings and becomes a son to Sonny. The teen is forced to make difficult decisions, find his own voice, and learn to understand the true nature of the world. While Sonny and Lorenzo both work hard to protect Calogero from different angles, there is little that can be done to shield him from the world forever. A series of tragic events forces 'C' to face the reality of his situation. He gains a better understanding of how the world works. As the movie closes, Calogero mentions that there is nothing in this world as sad as wasted talent. Calogero appears to have learned the lesson first hand; he takes the lesson and moves forward, but he will never be able to recapture his lost innocence. He walks off into the sunset knowing full well that his happy Bronx neighborhood will never be the same again. “A Bronx Tale” is a riveting film for a variety of different reasons. The movie, set in the 1960s, focuses on the racial tension that plagued the neighborhood during the 1960s. It also touches on the mob in a more positive light than many other movies. Sonny, the boss, is portrayed as a “good guy” with a heart. Perhaps, it can be suggested, that the film focuses on the “family dynamic” of a gang; rather than the criminal activities. The film was an adaption of a play by the same name and was written by Chaz Palminteri. 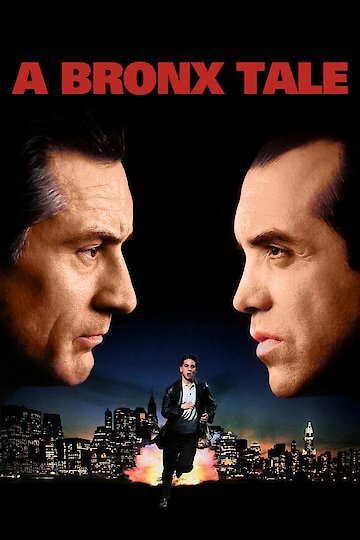 A Bronx Tale is currently available to watch and stream, buy on demand at Amazon, Vudu, iTunes online.